How do communities facing protracted displacement deal with the experience of migration and place-making? Second, how do notions of home mediate this relationship? An article from Contributions to Indian Sociology approaches these questions by taking the case of Kashmiri Pandits, the upper caste Hindu minority of the Kashmir valley, who were displaced due to the outbreak of conflict in Jammu and Kashmir in 1989–90 and a significant section of whom were located in displaced persons’ camps during 1990–2011. The article draws upon discussions with Pandits who contrast nostalgia for life in Kashmir with experiences of re-establishing social and political relationships after displacement. Place and migration here are both treated as contexts and products of social activity that involve considerations of objects, physical environment and communal relationships. The article engages with experiences of settlement of displaced Kashmiri Pandits in the city of Jammu, their memories of past lives in Kashmir and experiences in forging a new relationship with the local inhabitants. 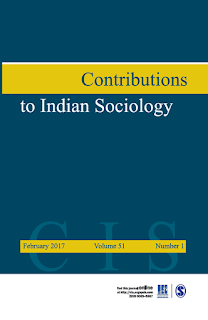 The article also discusses the experience of uncertainty among Kashmiri Pandits and whether a possible future can be imagined in the current place of habitation. Through an engagement with nostalgic recollections of home in the past in Kashmir and challenges of rebuilding life and settlement in Jammu, the editor also shows how the Pandits find themselves caught in a tension between the objective conditions of migration and displacement and their desire to seek a stable/secure location. There are layers in the engagement with place in the present, as some Kashmiri Pandits try to construct a claim and connection with Jammu. The relationship that forced migrants, such as the Kashmiri Pandits have with place—the place where they are from and the place where they find themselves in the present—involves dealing with memory, affection and sentiment and their lived social and political contexts. However, the ability to relate to a place is complicated by a dual process of observing everyday life and habitation, and yet constantly feeling that the next moment of migration or move may come anytime and that one will have no choice in the matter.